Former Los Angeles police officer Christopher Dorner, who had gone on a killing rampage over the past couple of weeks before being surrounded by police in a cabin, is believed to be dead. The cabin in California Dorner was surrounded in erupted into a violent fire, and charred human remains have been found. Forensic tests are underway to confirm these remains are Dorner. The LAPD has said it his highly likely Dorner is deceased, as authorities heard a single gunshot before the cabin was engulfed in flames. SWAT teams on the scene had fired tear gas inside the cabin and had begun tearing down the building’s walls. It is unclear if the SWAT team or Dorner started the fire. 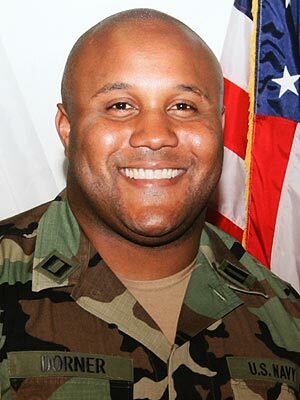 Dorner was charged with killing Riverside police officer Michael Crain and is the main suspect in the killings of Monica Quan and Keith Lawrence. Quan is the daughter of a former L.A. cop that Dorner blamed for his firing after he reported abuse by another officer. The ensuing manhunt for Dorner became a huge national story, as he was labeled a domestic terrorist and a $1 million reward was placed on his head. According to Police, Dorner had been hiding in cabins in the California wilderness until he was discovered by two cleaning women. Dorner tied the women up with plastic zip ties, stole their car, crashed it, and then stole a truck. The driver of the truck said Dorner used a gun in the robbery, but allowed him to take his dog out of the truck and didn’t cause him any harm. Officers quickly closed in on Dorner, and gunshots erupted between the two parties. Dorner killed one sheriff’s deputy and wounded another before fleeing through the woods and breaking into a cabin. After a SWAT team surrounded the cabin, a single gunshot was heard – which could potentially have been a suicide shot by Dorner – before the cabin erupted into a violent fire.